Qualcomm has finally announced its next flagship SoC, the Snapdragon 855, at the Qualcomm Tech Summit in Hawaii. 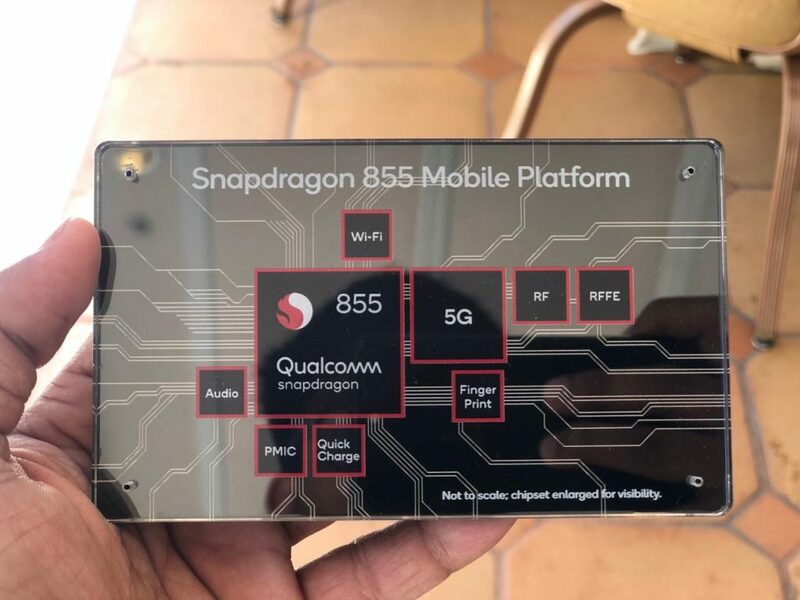 Qualcomm claims that the Snapdragon 855 is ‘the world’s first 5G multi-gigabit compatible mobile platform’. The new SoC comes equipped with the Qualcomm’s new X50 modem to enable 5G connectivity on flagship smartphones that will arrive next year. The Snapdragon 855, whose internal build number is SM8150 that we’ve been seeing in leaks lately, is based on the 7nm process and features a new multi-core AI engine which is claimed to offer 3x better performance compared to the Snapdragon 845 when it comes to AI-related tasks. 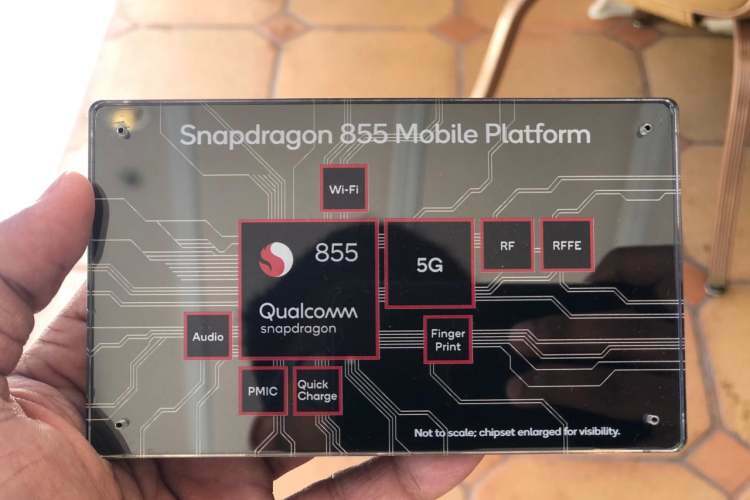 The Snapdragon 855 was leaked hours before its official announcement yesterday, however, all the leaked details are yet to be verified by Qualcomm. Details about the Snapdragon 855’s core architecture, benchmark scores on test platforms and other capabilities will be revealed on the second day of Qualcomm’s annual event. Qualcomm claims that the new flagship SoC features the world’s first Computer Vision Image Signal Processor (CV-ISP) for computational photography to deliver improved imaging performance while capturing images and videos. However, Qualcomm did not detail what new features it will bring to the table. Alex Katouzian, SVP of Qualcomm’s Mobile Business Unit, claimed that the CV-ISP ‘will recognize who and what you’re capturing’. 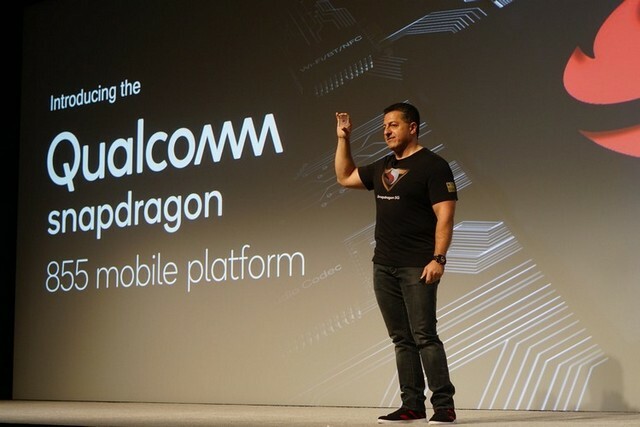 Another notable feature of the Snapdragon 855 is the ‘Snapdragon Elite Gaming’, Qualcomm’s take on Huawei’s GPU Turbo mode, which is basically a system optimization tool for improved resource allocation to provide a better gaming experience. Additional details about how the new technology works to provide a smoother gaming experience will be revealed tomorrow. In addition to improved computing performance, Qualcomm claims that the Snapdragon 855 is also more energy efficient and comes with advanced AR capabilities. Moreover, the new SoC will also allow 4K HDR video capture, improved real-time voice translation to facilitate multi-language video chat. The Snapdragon 855 will also support the company’s new ultrasonic under-display fingerprint sensor, the Qualcomm 3D Sonic Sensor, which works on sound, rather than light, like the the current-gen under-display fingerprint scanner. It’s said to be more secure and reliable than similar scanners being used currently. At the event, Samsung reportedly confirmed that the company will launch a Snapdragon 855-powered 5G smartphone in the first half of 2019, and multiple carriers have also committed to rolling out their 5G services next year.